The top international model, who is also a Silestone® ambassador and the brand’s global face, teamed up with the renowned Spanish chef at an exclusive event, where they discussed food, interior decoration and healthy living. You can’t fail to make a tasty dish if you have good ingredients. And any event with international stars as big as Cindy Crawford and José Andrés is guaranteed to be a success. On December 6, Cosentino invited these two leading figures to discuss topics they have in depth knowledge of: food, design and healthy living. 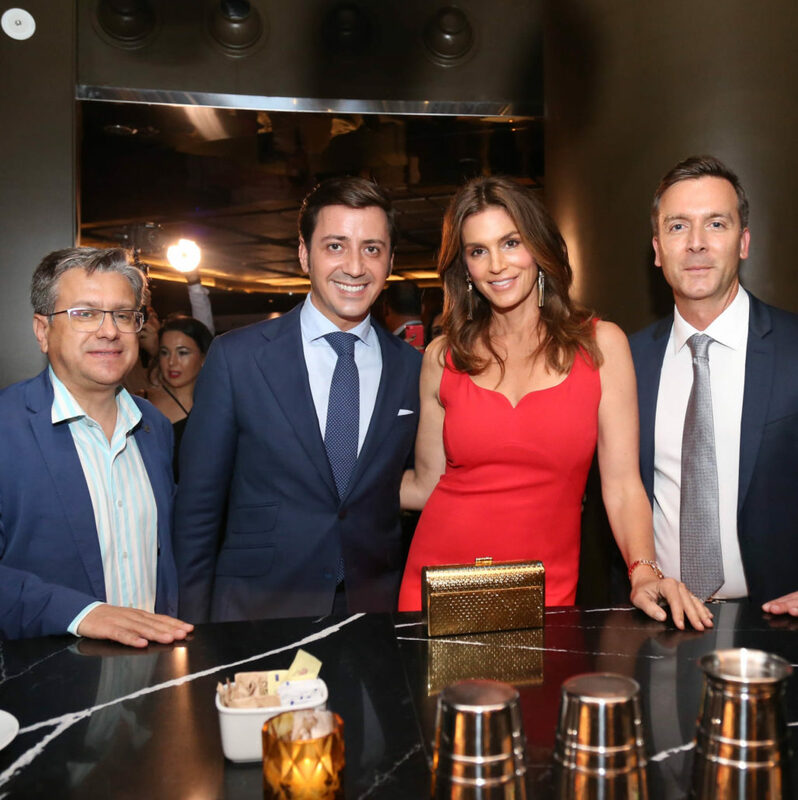 The event was held at the Tatel Miami restaurant, where products from the Cosentino Group’s Dekton and Sensa firms have been applied in a number of different ways. During their meal together, the two stars learned about each other’s home cuisine. Cindy revealed that, having grown up in the Midwest, a region with very little culinary variety, she began to “taste a bit of everything” when her career took her all over the world. The top model also mentioned that she loves being in the kitchen with her family and baking cakes, and that no matter which of her houses she is in, the heart of her home is always the kitchen. For his part, chef José Andrés divulged during their entertaining conversation that his wife is the one who calls the shots in their home kitchen. Both stars also emphasized that a good diet is key to a healthy lifestyle. The talk was chaired by Orlando Segura, the reporter from the ‘Despierta América’ program on the Univisión channel. The event marked the end of the first year of the relationship between Cindy Crawford and Cosentino. Throughout this time, Cindy has strengthened her role as both a global ambassador for Silestone® and the international face of the brand, thanks to a starring part in the stylish ‘Tops On Top’ advertising campaign, which appeared in leading architecture, design, decor, lifestyle and fashion magazines across the world during 2017. Over the course of this year, the international businesswoman and top model has demonstrated her keen interest in the world of interior decoration.